Repeats every week every Monday until Mon Apr 15 2019. Are you in your 1st year of Chemistry or Biology Course as an ABE Student? 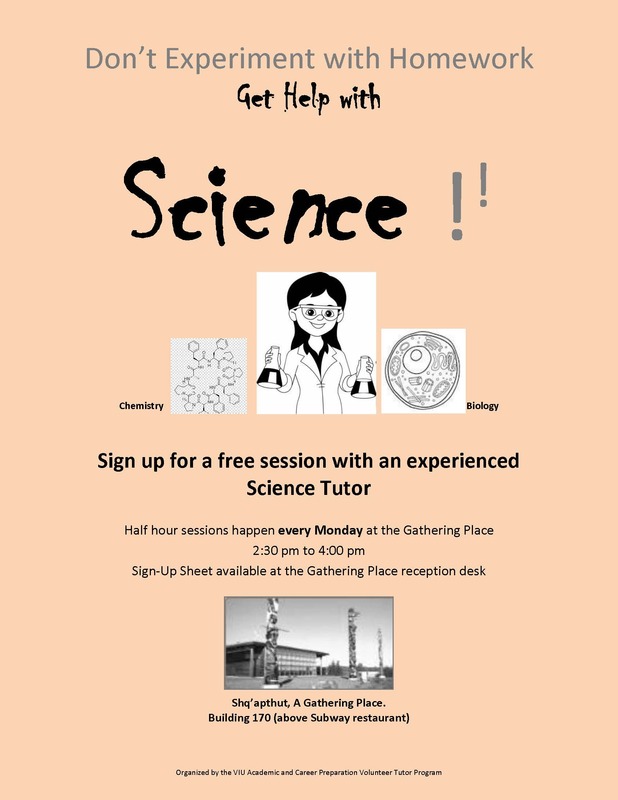 Come to Shq'apthut - A Gathering Place and sign up for free tutoring with Jack Scobie. Every Monday from 2:30 PM - 4:00 PM.